This child is a Native American dancer. 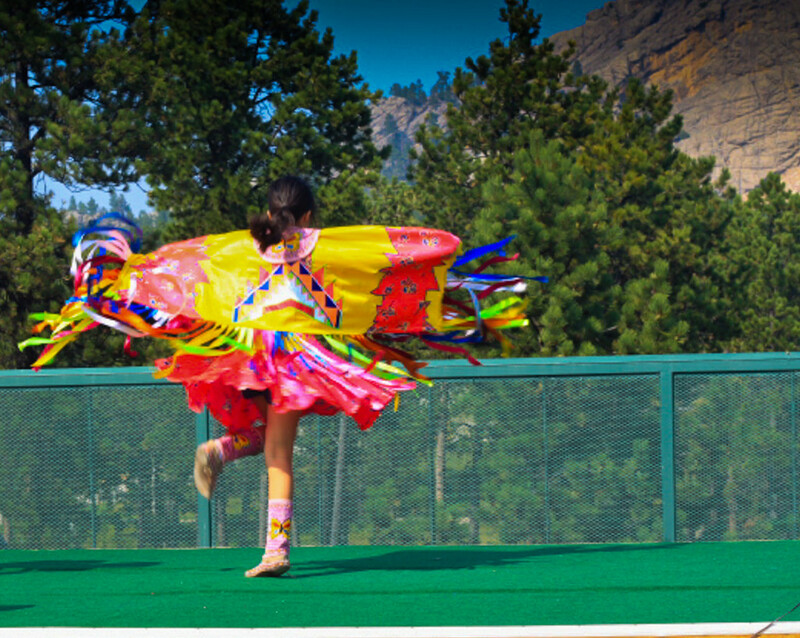 Her dad recounted the history of Custer and the Lakota Sioux as she danced on the stage. It was a beautiful and sobering moment. Beautiful! Where did you see this? I recently went to the Meskwaki Powwow in Tama, Iowa and saw Sac and Fox Tribe girls dressed and dancing like this. @lynnz This was at the Crazy Horse Monument. They set up a small stage in an open area. This girl's father chanted/sang as he beat on a small drum. It was beautiful.